HONDA marine DIAGNOSTIC KIT. The user is able to read the diagnostic trouble codes (DTCs) and clear them after the repair. Supports HONDA MARINE outboard models is designed for Honda fuel injected outboard engines. Honda Marine Thermostat. Thermostat for BF25A, BF30A, BF35A, BF40A, BF45A, BF50A, BF75A, BF90A, BF115A and BF130A Honda outboards. Genuine Honda part. Honda part number: 19300-ZV5-043. 35 BF35A All. 45 BF45A All. Provides superior engine protection for 4-stroke engines. Specially formulated and blended for Honda Marine engines. One case of 12 quart bottles. This Honda 15400-PLM-A01 FILTER, OIL (Honda Code 6446231) is used on these models and components 2004 BF135A4 LA OIL PUMP FLYWHEEL. 2004 BF135A4 XA OIL PUMP FLYWHEEL. 2004 BF135A4 XCA OIL PUMP FLYWHEEL. Genuine Honda Marine Outboard Oil Filter. 8 decal set Marine Vinyl Honda 9.9 hp Reproduction set. STOP the MADDNESS - JUST GET MARINE VINYL. Marine Vinyl - Does not need Lamination to make it water proof, UV resistant, and No Inkjet to fade. Is it water proof?. 8 decal set Marine Vinyl Honda 50 hp Reproduction set. STOP the MADDNESS - JUST GET MARINE VINYL. Marine Vinyl - Does not need Lamination to make it water proof, UV resistant, and No Inkjet to fade. Is it water proof?. FITS FOR HOND ENGINES BF 9.9A and BF15A. ORIGINAL GENUINE HONDA PART 06192-ZV4-000. Honda Marine Thermostat. Thermostat for BF115A, BF115D, BF130A, BF135A, BF150A, BF175A, BF200A and BF225A Honda outboards. 115 BF115D All Cylinder Block Thermostat. Not Cylinder Head Thermostat. 135 BF135A All Cylinder Block Thermostat. Propeller for BF20F (2 HP), BF2A, BF2D and BF2.3D Honda outboards. 2 BF2D All. 2 BF2A All. 2 BF20F All. 2.3 BF2.3D All. Honda Marine Propeller. Engine HP Model Year. Genuine Honda part. Quart of SAE 80W90 hypoid lower unit gear case oil for Honda outboards. Specially formulated and premium blended for Honda Marine Outboard Motor lower unit gear cases. Genuine Honda part. Honda part number: 08739-90W. 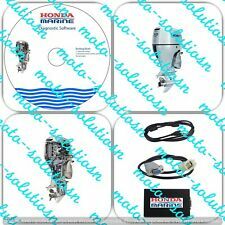 Honda 200 hp Outboard 4-Stroke Decal Kit Fourstroke Reproduction. STOP the MADDNESS - JUST GET MARINE VINYL. Marine Vinyl - Does not need Lamination to make it water proof, UV resistant, and No Inkjet to fade. 8 decal set Marine Vinyl Honda 8 hp Reproduction set. STOP the MADDNESS - JUST GET MARINE VINYL. Marine Vinyl - Does not need Lamination to make it water proof, UV resistant, and No Inkjet to fade. The InkJet printing is not going to fade. Honda Marine Thermostat. Thermostat for BF75D, BF90D, BF115D, BF135A and BF150A Honda outboards. 75 BF75D All Cylinder Head Thermostat. Not Cylinder Block Thermostat. 90 BF90D All Cylinder Head Thermostat. Honda Marine Thermostat. Thermostat for BF8D, BFP8D, BF9.9D, BFP9.9D, BF15D, BFP15D, BF20D, BFP20D, BF25D, BF30D, BF40A, BF40D, BF50A, BF50D, BF60A, BFP60A, BF75D, BF90D, BF200A and BF225A Honda outboards. Light blue 6 decal set Marine Vinyl Honda 30 hp Reproduction set. HONDA 16100-ZM7-D25 CARBURETOR EU1000. GENUINE OEM, NEW IN BOX. WE ASK THAT YOU VERIFY THE PART OR UNIT BEFORE PURCHASING. Helpful Links. ALL ORDERS MUST BE PAID FOR WITHIN 24 HOURS OF SUBMITTING BUY IT NOW. Honda Marine SAE 5W30 Engine Oil - Quart. Quart of SAE 5W30 engine oil for Honda outboards. Outboard Motor Parts. Genuine Honda part. Honda part number: 08207-5W30M. White's Marine. Honda / 08207-5W30M. Carburetor float valve set for BF20F (2 HP), BF2A, BF2D and BF2.3D Honda outboards. BF20F (2 HP) and BF2A. BF2D and BF2.3D. 2 BF2D All. 2 BF2A All. 2 BF20F All. 2.3 BF2.3D All. Honda Marine Carburetor Float Valve Set. Honda Marine Carburetor Gasket Set. Carburetor gasket set for BF9.9A, BF15A, BF25A, BF25D, BF30A, BF30D, BF35A, BF40A, BF45A, BF50A, BF75A and BF90A Honda outboards. Genuine Honda part. Honda part number: 16010-ZV4-005. Carburetor float set for BF20F (2 HP), BF2A, BF2D and BF2.3D Honda outboards. BF20F (2 HP) and BF2A. BF2D and BF2.3D. 2 BF2D All. 2 BF2A All. 2 BF20F All. 2.3 BF2.3D All. Honda Marine Carburetor Float Set. Impeller service kit for BF8A Honda outboards. Honda outboard control box with 14 foot control cables. DOES NOT HAVE KEY SWITCH OR MAIN HARNESS. 6 decal set Marine Vinyl Honda 40 hp Reproduction set. Honda Marine Fuel Filter. Cylinder head gasket for BF35A, BF40A, BF45A, BF50A, BF75A and BF90A Honda outboards. Genuine Honda part. Honda part number: 16900-SA5-004. Fuel & Ventilation. 45 BF45A All. 35 BF35A All. Honda Marine Fuel Filter. Fuel filter for BF8D, BFP8D, BF9.9A, BF9.9D, BFP9.9D, BF15A, BF15D, BFP15D, BF20D, BFP20D, BF25A, BF25D, BF30A, BF30D, BF40D, BF50D, BF60A, BFP60A, BF75D and BF90D Honda outboards. Carburetor muffler plate gasket for BF75A and BF90A Honda outboards. 90 BF90A All. 75 BF75A All. Honda Marine Carburetor Muffler Plate Gasket. Genuine Honda part. Honda part number: 17384-ZW1-000. White's Marine. Essenbay Marine. 1 Red Cover For Bulb. You are buying what you see in pictures. I am selling a Honda shift and throttle control box. It is new out of the original packaging with some minor blemishes, and it does come as shown in pictures. This is a top mount box and is chrome and black in color and does have a trim switch. It measures roughly 12 1/2" in height x 6 5/8" wide overall not including the handle, and the handle is roughly 9 5/8" long. For more information please contact a dealer in your area. ( KW / 62 C / 9067638 ) Shipping cost is for the continental United States (lower 48 states) only. For shipping outside of the continental United States please inquire about shipping cost before bidding. Tiller handle throttle cable for BF2D and BF2.3D Honda outboards. 2 BF2D All Models With Tiller. 2.3 BF2.3D All. Honda Marine Tiller Handle Throttle Cable. Handle Throttle Only. Genuine Honda part. 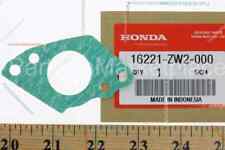 Honda part number: 17910-ZW6-702. Light blue 6 decal set Marine Vinyl Honda 75 hp Reproduction set. STOP the MADDNESS - JUST GET MARINE VINYL. Marine Vinyl - Does not need Lamination to make it water proof, UV resistant, and No Inkjet to fade. Carburetor gasket set for BF2D and BF2.3D Honda outboards. 2.3 BF2.3D All. Honda Marine Carburetor Gasket Set. 2 BF2D2 2002 Carburetor Model. Genuine Honda part. 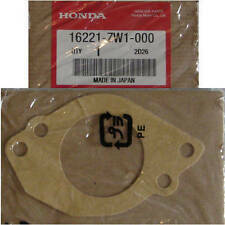 Honda part number: 16010-ZW6-611. White's Marine. Cylinder head gasket for BF75A and BF90A Honda outboards. 90 BF90A All. 75 BF75A All. Honda Marine Cylinder Head Gasket. Genuine Honda part. 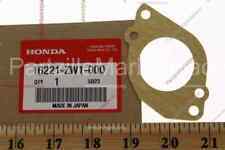 Honda part number: 12251-ZW1-014. White's Marine. Honda / 12251-ZW1-014. Honda 90 Outboard 4-Stroke silver, gold & black Decal Reproduction kit. STOP the MADDNESS - JUST GET MARINE VINYL. How long befor the Lamination peels?. Is it water proof?. Is the InkJet DYE going to Fade?. Short shaft (15") lower unit assembly for BF2D and BF2.3D Honda outboards. 2 BF2D All Short Shaft - 15". 2.3 BF2.3D All Short Shaft - 15". Honda Marine Short Shaft (15") Lower Unit Assembly. Genuine Honda part. Long shaft (20") lower unit assembly for BF2D and BF2.3D Honda outboards. 2 BF2D All Long Shaft - 20". 2.3 BF2.3D All Long Shaft - 20". Honda Marine Long Shaft (20") Lower Unit Assembly. Genuine Honda part. 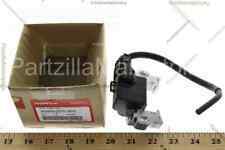 New OEM Honda Scs Srvce Connect0r OEM Part Number: 070PZ-ZY30100 Item only fits specific models listed. The picture could be generic. Message us with VIN/HULL for fast fitment verification. Fits: Please note that we currently cannot display fitment from the Manufacturer at this time. If you would like for us to quickly verify and guarantee fitment for your vehicle, please contact us with the VIN for your vehicle. .
Carburetor pilot screw set for BF20F (2 HP) and BF2A Honda outboards. 2 BF20F All. Honda Marine Carburetor Pilot Screw Set. Engine HP Model Year. Genuine Honda part. Honda part number: 16016-ZE0-005. White's Marine. This was a flawed design put together by showa, in a Freshwater application on a bass boat you will see the bolts have stretched and losses their torque form the hydraulic pressure in between the valve body and manifold. NGK CR4HSB spark plug for BF2D and BF2.3D Honda outboards. Honda Marine NGK CR4HSB Spark Plug. 2.3 BF2.3D All. Genuine Honda part. White's Marine. All new parts carry the full manufacturer's warranty unless otherwise stated. 2 fourstroke decals, 2-large 1 small HONDA, 2 blue 90hp. NOT Ink-jet printing. Carburetor pilot screw set for BF2D and BF2.3D Honda outboards. 2.3 BF2.3D All. Honda Marine Carburetor Pilot Screw Set. 2 BF2D2 2002 Carburetor Model. Genuine Honda part. Honda part number: 16016-ZW6-621.